Capt. 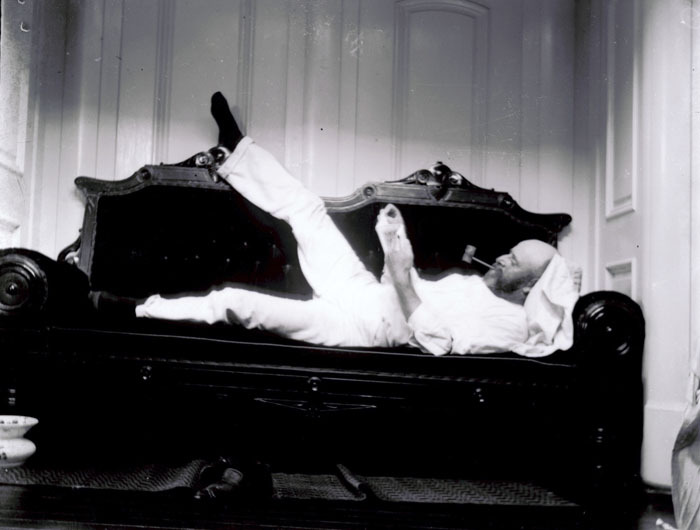 Lincoln Alden Colcord relaxes on a divan in the captain's cabin aboard the ship State of Maine, as photographed by his daughter, Joanna, in 1899. 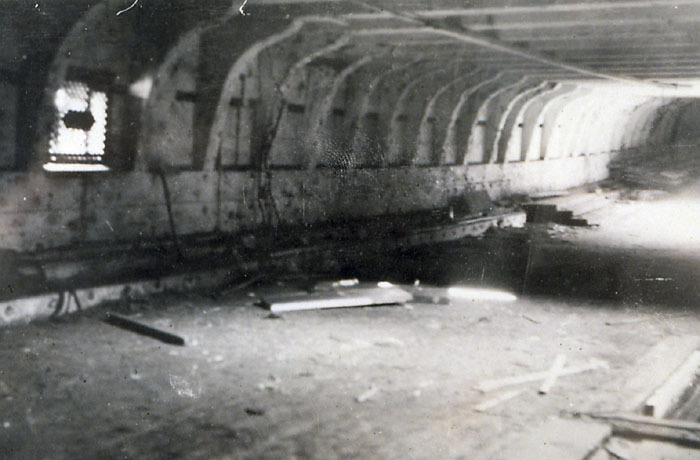 Launched in Phippsburg in 1893, the Bath owned Aryan was the last wooden full-rigged ship to be built in America. 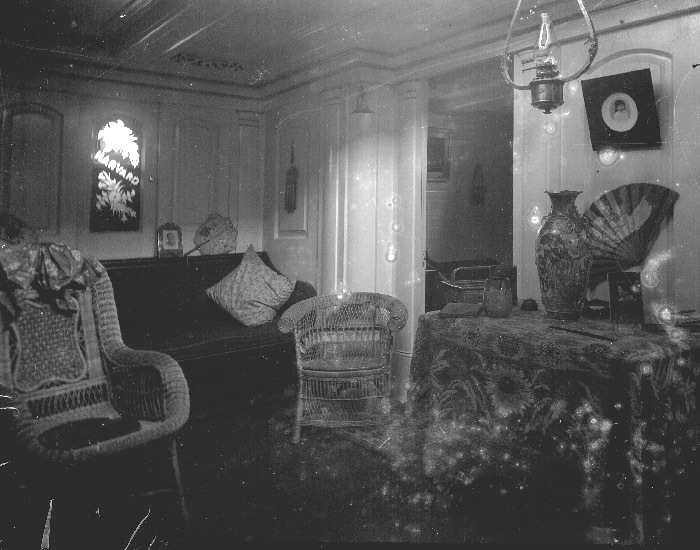 The ship's first captain was Capt. 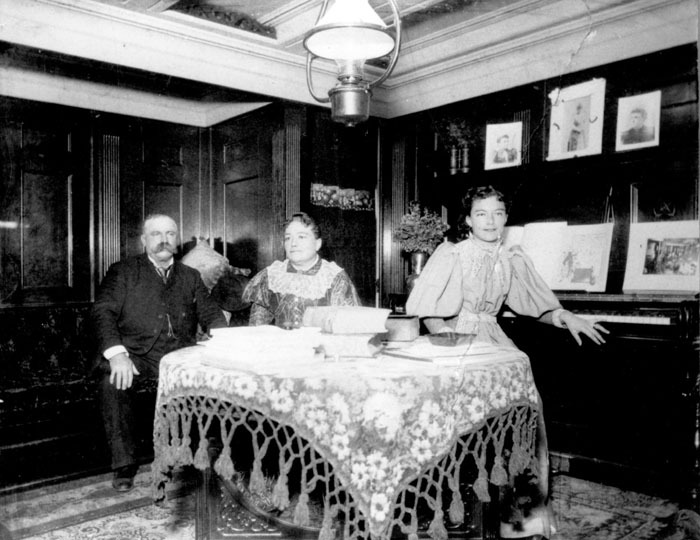 Wylie R. Dickinson, seated on the left in this carefully posed photograph. To his left are his wife and daughter. The Shipmaster's Assistant was first published in 1837 and updated regularly. 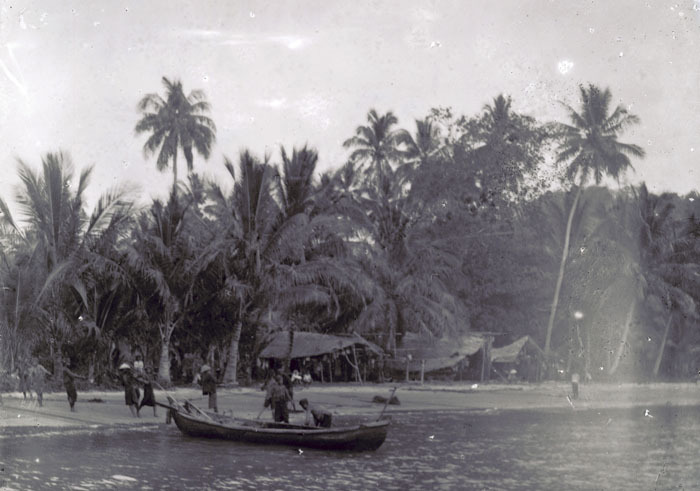 It gave a captain information on handling a crew, a ship, its cargo, ship's business, and foreign port requirements. 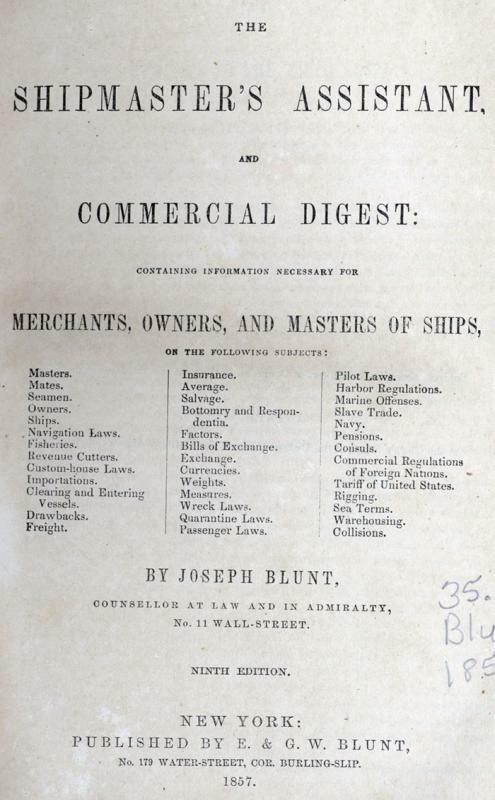 The publisher, the Blunt company, was started by Edmund Blunt in Newburyport in 1796, then moved to New York in 1811 and carried on by his sons. They were the publishers of the Coast Pilot, the American Practical Navigator, and charts; and were the premier American 19th century professional nautical publishers. Capt. 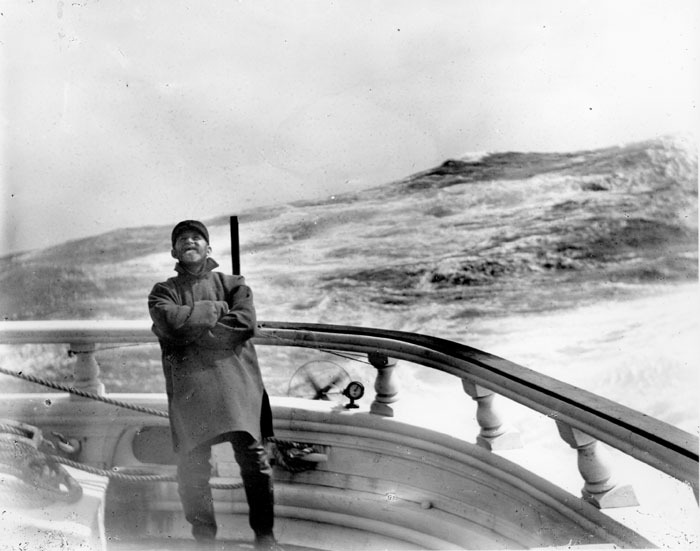 Lincoln A. Colcord standing at the taffrail of the ship State of Maine, taken by his daughter, Joanna Colcord while sailing off the Cape of Good Hope in 1900. The taffrail log ( the ship's speedometer) is spinning fast. Captain Colcord 's grin as he drives his ship at speed was certainly shared by his fellow Down Easter captains. State of Maine was built in Newcastle in 1878 by Ebenezer Haggett for a consortium of Searsport captains who had two other Down Easters built by Haggett. Map in book showing the best sailing routes to go to the Far East, during the SW Monsoon season from May to September. 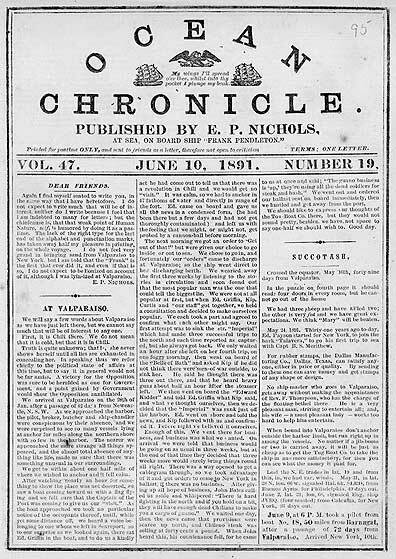 This newspaper Ocean Chronicle, like its predecessor, Pill Garlic, was written and published at sea over a course of years by Captain Edward Payson Nichols, aboard ship. 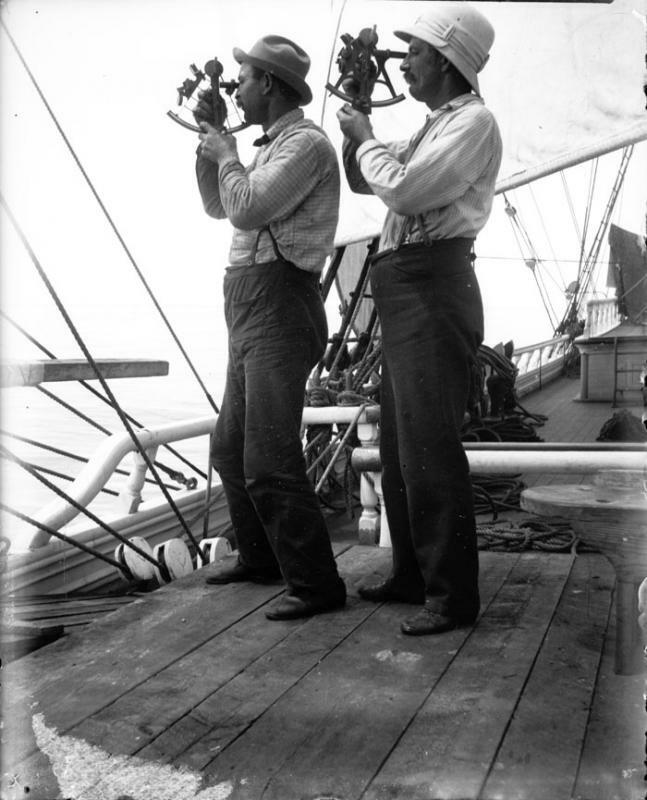 This issue was published aboard the ship Frank Pendleton in 1891. This was purportedly the only newspaper published at sea on a sailing vessel.